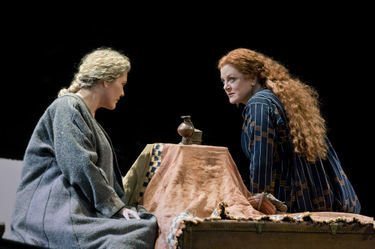 Michelle DeYoung as Brangaena and Deborah Voigt as Isolde in the Metropolitan Opera's production of Tristan and Isolde. Copyrighted photo by Ken Howard | The Metropolitan Opera. Initially this weekend's Met Live HD broadcast of Tristan and Isolde looked interesting because we don't get much Wagner live (or pseudo-live) here in the heartland and it offered the endurance test of a five-hour-and-35 minute running time. But a check of the headlines tells us this could be an intriguing show just to see what happens. Tuesday night, lead tenor Gary Lehman slipped off a bed-like surface, which he was lying on, into the prompter's box -- methinks this could be the dastardly work of silk sheets. Lehman was actually Tristan No. 3. Tristan No. 1 Ben Heppner, fell ill before opening night. He was replaced by his cover, John Mac Master, whose performance was widely panned. Lehman actually finished Tuesday's performance, but Saturday, we will see the Met debut of Robert Dean Smith, Tristan No. 4. And don't think darling Isolde has gotten off unscathed. Last Friday, Deborah Voigt came down with a monster stomach bug and had to be replaced mid-performance. So, with all this just going on in the friendly confines of Lincoln Center, who knows what we may have in store when we get to see the show nationwide. Click here for local showtimes. 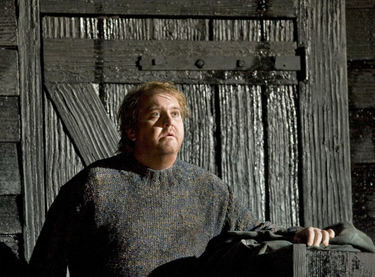 Anthony Dean Griffey in the title role of the Metropolitan Opera's new production of Peter Grimes. Copyrighted photo by Ken Howard | The Metropolitan Opera. The Metropolitan Opera’s Live HD broadcasts go dark this weekend with Benjamin Britten’s modern masterpiece Peter Grimes. Anthony Dean Griffey sings the title role in this story of a fisherman who hopes for a better life but suffers from misfortune and bad temperament. The opera is known for letting the audience decide whether Grimes is a true villain or a victim of society. This production is directed by John Doyle, whose Tony Award-winning production of Stephen Sondheim’s Company originally was staged at Cincinnati’s Playhouse in the Park. "Mr. Griffey, even though his voice has heft and carrying power, is essentially a lyric tenor. And it is disarming to hear the role sung with such vocal grace, even sweetness in places. Every word of his diction is clear. You sense Grimes’s dreamy side struggling to emerge. The moments of gentleness, though, make Mr. Griffey’s impulsive fits of hostility, his bursts of raw vocal power, seem even more threatening." The opera will be shown at 1:30 p.m. Saturday at the Regal Hamburg Pavilion 16, Lexington Green Movies 8 and Richmond Mall Cinemas 8; and at 3 p.m. March 16 at Lexington Green and Richmond Mall. Tickets are $22 for adults, $20 for seniors and $15 for children. Click here for links to advance tickets. If you can't make it to the movie theater, Peter Grimes is also the Met's radio broadcast this week, heard in Central Kentucky on WEKU (88.9 FM). 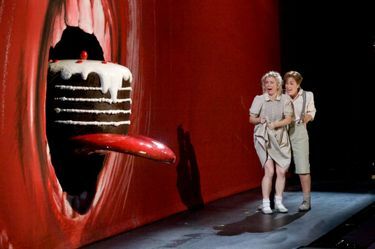 Colleen Lauve as Gretel and Sarah Klopfenstein as Hansel during the dream sequence from UK Opera Theatre's production of Hansel and Gretel. Photo by Tim Collins | University of Kentucky. Every University of Kentucky Opera production has two casts. The main reasons are the UK voice program wants to give stage experience to as many students as possible, and the opera company schedules its performances on back-to-back nights. Performing many operatic roles two consecutive nights would be a voice killer, somewhat akin to asking the UK football team to play two games on consecutive days. The voice of an opera singer, like the body of a football player, needs time to recover. So you’ll notice most professional opera companies such as Louisville’s Kentucky Opera schedule their performances on a Friday and Sunday, or some other lineup with at least a day between shows. Sometimes I do see both casts though, and it’s always interesting to see how different performers interpret the same roles and music. Such was the case this weekend when after having reviewed the “Hansel” cast of Hansel and Gretel the previous weekend I ended up in the Lexington Opera House Saturday night seeing the “Gretel” cast. This happened through a combination of my daughter receiving a free ticket to the show through her school and my lovely bride being cool to the idea of venturing out to drive on ice and in sub-freezing temperatures. The affirming thing was the other cast did not alter my overall upbeat assessment of the show. But stage director Sally Stunkel did allow the actors latitude to do their own interpretations of the characters, which gave us different views of the show. The biggest alteration came in the role of the Witch. In the Hansel cast, Mark Kano played up the clownishness of his dude-looks-like-a-lady assignment to steal the show. Gretel cast Witch Natalie Krupansky had more of a psycho take. There was never a hint of safety in her wild-eyed performance. As the title siblings, Sarah Klopfenstein and Colleen Lauve of the Gretel cast seemed like a slightly more sophisticated, older take on the kids than the Hansel cast’s Brandy Lynn Hawkins and Amanda Balltrip. But the primary difference there was in voice: Hawkins and Balltrip are simply two of the strongest voices at UK, and hearing them unite provided some thrills. Speaking of vocal thrills, Eric Brown sang the role of the Father in the Gretel cast. Was either cast appreciably better? That’s somewhat in the eye of the beholder. But the third reason UK double casts is it can. The voice department is fully capable of fielding two casts for the same show, and the winners are local opera fans, particularly ones looking to get two-for-one on each show. 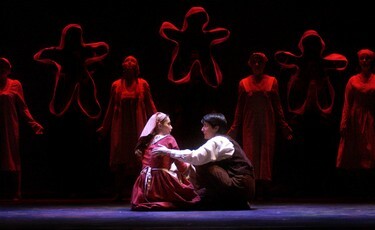 See a photo album from Hansel and Gretel. We just posted a new album of photos from the University of Kentucky Opera Theatre's production of Engelbert Humperdinck's Hansel and Gretel, which continues this weekend at the Lexington Opera House. The fun thing about this album is, since there are two casts, if you only saw one, this gives you a chance to see what the other crew looked like. You may note that this album is labeled "UK Opera," and we'll try to build it backwards and forwards, picking up some classic shots from productions past and adding ones from future shows. We'll also be looking to launch photo albums on other area groups here at le blog. 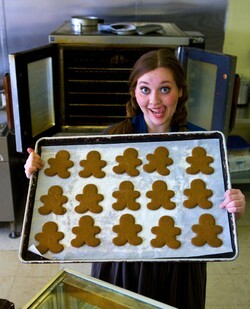 The photo, above, is of Amanda Balltrip, who is playing Gretel in the "Hansel Cast" of H&G. Herald-Leader photographer Mark Cornelison shot her in Brown's Bakery on Leestown Road. ~ Hansel and Gretel news: If you missed the Metropolitan Opera's Live HD broadcast of Hansel and Gretel when it showed at movie theaters New Year's week, Great Performances will broadcast the show at 9 p.m. March 26 on PBS. It'll show on PBS HD at 1 p.m. March 30. David Baker sang the role of Tom Carter in the University of Kentucky Opera Theatre's production of Thomas Pasatieri's Hotel Casablanca on the Lexington Opera House Stage in October and the world premier CD, which was just released. Photo by Timothy Collins, courtesy of the UK Opera Theatre. 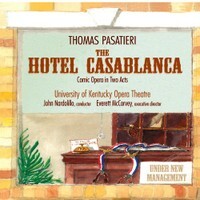 The San Francisco Opera got the world premier performance of Thomas Pasatieri's new opera, Hotel Casablanca, but the University of Kentucky Opera Theatre got the world premier recording. Asked which they would have rather had, Darla Diltz, Tedrin Blair Lindsay and Christopher Probus' answer amounted to, "Duh!" "I can send this out to people I'm auditioning for," says Diltz, who sings the role of Tallulah Carter on the new CD. Probus is looking forward to giving one to his grandmother, who didn't get to see the show. The UK Opera Theatre and Symphony Orchestra recoded the show for Albany Records between performance weekends in October. The opera is a farce based on the Georges Feydeau play A Flea in Her Ear. Set in 1940s Texas, it tells the tale of how a misunderstanding leads a rancher’s wife to suspect her husband is cheatin'. The recording was conducted by UK Symphony director John Nardolillo and features soprano Diltz and baritone David Baker as the couple in turmoil. 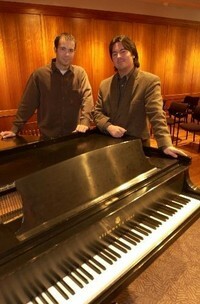 The CD is available online at Amazon.com and at retail outlets such as Barnes & Noble. "It was a little more stressful," Baker said of the recording, after a news conference at UK to unveil the CD. "But then you had more than one take to get it right." All of the singers said they were really impressed with the UK Symphony while recording the CD. "I could go in and out, depending on when I was on," Diltz said. "But they had to be there the whole time. They were real pros." Part of the stamina could stem from the fact the UK Symphony has three recordings in the can over the past couple of years, including a forthcoming recording of the George McKay ballet score Epoch for Naxos Records. Though they're old pros, Symphony conductor John Nardolillo said he thought Hotel Casablanca came out exceptionally well. "We had everything going for us," Nardolillo said. "We were in the Singletary Center, which was a warm acoustic environment for the singers, and I was really pleased with the sound of the orchestra." Nardolillo said he was impressed that the story came through as well as it did. The UK Opera's last recording was Aaron Copland's The Tender Land in 2002. At the Casablanca launch party, UK Opera Theatre director Everett McCorvey said he is exploring the possibility of recording River of Time, Jospeh Baber's new opera about young Abraham Lincoln, which the student ensemble will premier next year. 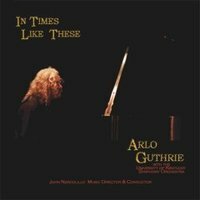 The CD cover art (above) is by Richard Kagey, the opera’s director at UK in October and at San Francisco Opera in August. Hotel Casablanca was a co-production of UK Opera and San Francisco Opera. 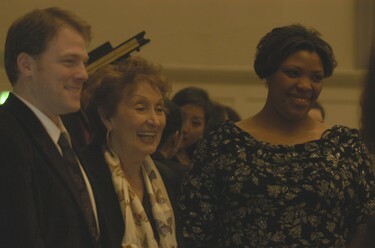 Metropolitan Opera Tri-State Regional Audition winners Jonathan Lasch (left) and Afton Battle (right) pose for pictures with judge and legendary soprano Mignon Dunn (center). Lexgo photo by Rich Copley. A few notes from Saturday's Tri-State Regional Round of the Metropolitan Opera National Council Auditions, which were won by University of Kentucky soprano Afton Battle and University of Cincinnati College-Conservatory of Music baritone Jonathan Lasch. Read the Herald-Leader story at LexGo, Sunday. Stiff competition: Once the competition got started, you knew whoever won was going to have to have a really good day. Indiana University's Jing Zhang was second up with a heart melting Un bel di, and she looked the part of Cio-Cio-San. Then came Lasch with his muscular rendition of Ford's Monologue from Falstaff. Baritones have fared well in this region -- see Corey Crider -- and it seemed obvious Lasch could have a good day. Indiana University mezzo Kathryn Leemhuis, who ended up finishing second, came in showing range with comical Cosi and an endearing Romeo's Tomb Scene from from Bellini's I Capuleti ed I Montecchi, plus a rather hip look in a black jacket and slacks with an antiquey top (I'm no fashion writer. Leave that to Opera Chic). Then the competition ended with IU's Jung Nan Yoon, making it look like this could be a three-soprano race between Zhang, Battle and Yoon for win, place and show. That's what's great about the regionals, which we get once every three years: These are the best of the districts, and with Indiana, CCM and Kentucky in our region, all of the singers are bound to be good. Sports: Watching the talented field reminded me how former UK voice professor Stephen King used to relate singing to golf, and it's a particularly apt analogy in the Met Auditions. Basically, all you can do is play your game, and hope you have a better day than everyone else. You're not going to impact anyone else's performance, so you just have to do your best, and hope it's good enough. The Met Auditions always make me think of sports, because covering them, I feel a bit like a sportswriter: "How'd it feel out there today?" "What do you take from this going to the next round?" "How does this impact the program?" Opera Scene investigators: The Met auditions usually go like this: The competitors come out, sing the aria they choose. Then, the three judge panel requests another piece, the singer does it and is gone. Occasionally, the judges will request a third piece, leaving the audience to wonder, "What does that mean? Does it mean they liked the singer? They didn't Know? They just wanted to hear something else." Today, the judges threw the auditioners a lot of curve balls, stopping them in the middle of arias, asking for three, but only hearing parts of some works and generally seeming to be on a hunt for very specific things. "They made us work out there," Lasch said, after the competition. Speaking of the judges: Weather travails prevented Opera Theatre of St. Louis director Charles McKay from getting to Lexington to judge. So, competition co-director Henno Lohmeyer called Carroll Freeman, essentially the Everett McCorvey of the University of Tennessee Opera, and he agreed to make the three-hour drive up I-75 to fill in. He was joined by Met pianist and assistant conductor George Darden and acclaimed soprano Mignon Dunn. Bet who Everett bets: Between the judging and the awards, UK Opera Theatre director Everett McCorvey said it was tough to figure out who won. 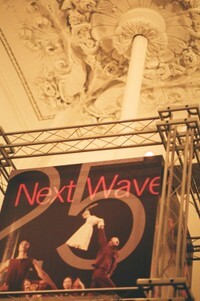 But a few minutes before the awards were announced, he looked at the Met auditions mission statement in the program. He pointed to No. 1, "To discover exceptional young talent," and said if that's what the judges went by, it would be Battle or Lasch. A few minutes later, with the surprise announcement two singers would advance, Everett was proven right. I think I'm going to call him on Derby day . . .
Word from Memphis: Mezzo-soprano Brandy Lynn Hawkins was also in a regional yesterday, in Memphis. She did not advance though. "A baritone from Arkansas advanced," McCorvey wrote in an e-mail. "She felt good about her singing and the comments evidently were very positive. They only advanced one from that region to NY. She was very excited for Afton." On to New York: The National Semi-Final will be at the Metropolitan Opera Feb. 17, with the finals Feb. 24. If it works the way it did in 2002, when UK's Corey Crider and Mark Whatley advanced, the semis were a smaller, essentially semi-private event. But the nationals are a big, ticketed concert. Here's the link for tickets. Read it in the (college) paper: Memorial Hall was swarming with a bunch of reporters from UK's student paper, The Kernel, Saturday. I can't wait to see what they write, and will let you know if there are any online links. As a former college paper editor, I love seeing college papers actively covering the arts. 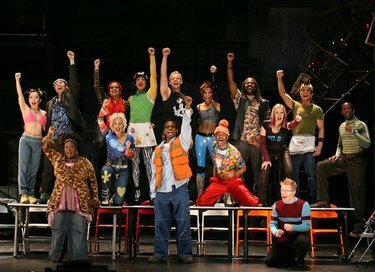 The Broadway cast of Rent, as photographed in July 2007. Copyrighted photo by Joan Marcus, distributed by the Associated Press. If you entertained thoughts of seeing Rent on Broadway, at its home base in the Nederlander Theatre, you'd better plan your trip soon. The Broadway hit will close in June after a 12-year run that will make it the seventh longest running show in Broadway history. Here's the New York Times story. ~ Yes, the pop-rock musical/opera had been done by 1996, when Rent opened. But Jesus Christ Superstar and its ilk seemed distinctly rooted in the previous generation. Rent, for teens and twentysomethings of the 90s was ours, presenting issues and characters familiar to us. And many of them were so beautiful in spirit, regardless of their vices and circumstances. ~ Rent is a portal to the past. You cannot be a Renthead without knowing Giacomo Puccini's La Boheme. Sure, not everyone will follow that thread. But a lot of people -- particularly kids -- who love and are enthralled by art will. The end of Rent's Broadway run closes a chapter in its history, but there are new ones to be written as it continues to tour and becomes available to theaters across the country. UK opera alum Patrica Andress never advanced beyond the regional rounds of the Met auditions, but has since had a successful career in the United States and Europe. Copyrighted Herald-Leader/LexGo photo by Sam Richie, taken in 2000. The Tri-State regional round of the Metropolitan Opera National Council Auditions is coming to Lexington for the third time since the Lexington Opera Society snatched the annual Met star search from Louisville in 2000. University of Kentucky singers are one-for-two in parlaying the home-stage advantage into a trip to New York for the national semifinals. 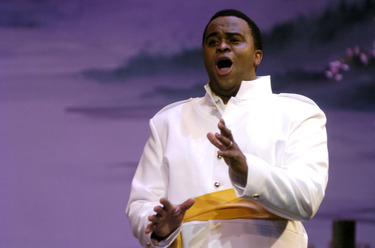 In 2001, theatrical baritone Corey Crider made the cut and found himself on the Metropolitan Opera stage in April. 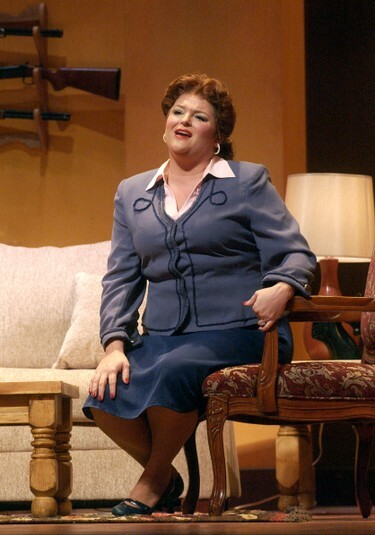 In 2004, dramatic soprano Lillian Roberts looked like a promising candidate but hit the stage hampered by a busy travel schedule and a cold, and failed to advance. This year, UK has some promising competitors. Soprano Afton Battle has been blowing away pretty much everyone who hears her. Several UK voice professors said they would not normally advise a 26-year-old soprano to carry Turandot’s In questa reggia into a Met audition. But Battle did at the Kentucky Districts in November, and it turned heads, even among the judges. Turay was the last UK student to win in the national competition, in 1995. Giving UK a triple threat to advance this year are countertenor Christopher Conley and soprano Hannah Smith. Conley is making his second trip in as many years to the regionals. He struggled as a tenor but has blossomed after finding his higher range, and he seems to have matured several years in the 12 months between district competitions. Smith was a revelation with a delightful rendition of Leonard Bernstein’s Glitter and Be Gay. She’s the sort of singer you could listen to all night. 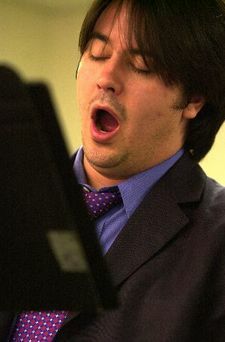 The districts usually send three competitors to the next level, but only one singer traditionally advances from the regional round. Judges, however, can send more at their discretion. Any of the three UK hopefuls could score a victory for the Bluegrass and give us a good excuse to turn our attention to New York later this year. In related news, mezzo-soprano Brandy Lynn Hawkins, who has just been accepted to the Washington National Opera’s young artist program, advanced to a regional out of Tennessee. So there are four UK singers vying for a trip to New York. But even if that doesn’t happen, these singers might already be winners. 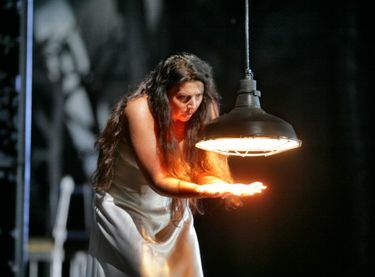 Maria Guleghina as Lady Macbeth in the Metropolitan Opera's new production of Giuseppe Verdi's Macbeth. 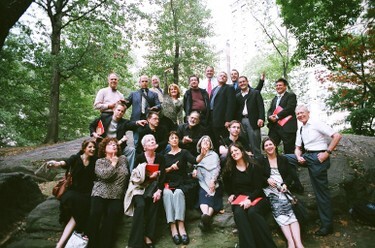 Copyrighted photo by Ken Howard for the Metropolitan Opera. Update: Zeljko Lucic will actually sing the role of Macbeth after all. The Met sent out a press release late Friday saying Lado Ataneli is, "indisposed." The credits barely rolled on Hansel & Gretel last Sunday, and the Metropolitan Opera’s Live HD broadcasts are already gearing up for another weekend with the company’s new production of Giuseppe Verdi’s Macbeth. This will be Shakespeare-based opera from the perspective of an honest-to-goodness Shakespearian theater master, British director Adrian Noble. He was the director of the Royal Shakespeare Company from 1991 to 2003, where he directed Macbeth twice, and he has several West End and Broadway credits as well. The global audience will not see the Macbeth that opened this production, as Lado Ataneli will step in for Zeljko Lucic, who opened the show in October. But we will see original Lady Macbeth Maria Guleghina and maestro James Levine will be in the pit. I was in New York the opening night of this production, and tickets were available. But I chose to stay with the group I was with instead of peeling off to see the show. Riding to the airport, I read Anthony Tommasini's New York Times review, and wanted to kick myself for not following my instinct. It's not that Tommasini gave it a total rave, but he conveyed some interesting things about the approach and the musicianship that made it sound like a great night in the theater. The HD broadcast won't totally make up for not being there, but it's a nice second chance. Showtime is 1:30 p.m. Saturday, in Central Kentucky at the Regal Hamburg Pavilion, Lexington Green Movies 8 and Richmond Mall Cinema 8 and the encore is at 3 p.m. Sunday at Lexington Green and Richmond Mall. Gretel (Christine Schafer) and Hansel (Alice Coote) are enticed to enter the witch's house in the Metropolitan Opera's new production of Hansel and Gretel, with scenic and costume designs by John Macfarlane. Below: The "angels" prepare a feast for the children. 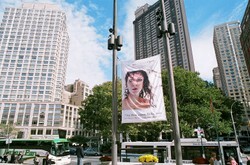 Copyrighted photos by Ken Howard for the Metropolitan Opera. 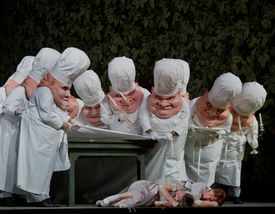 The Metropolitan Opera’s new production of Engelbert Humperdinck’s Hansel and Gretel fits either definition. In Richard Jones’ production, originally for the Welsh National Opera and the Lyric Opera of Chicago, the opera’s design has been reimagined by artist John Macfarlane. He created a dreary and contemporary present for the unfortunate siblings. But once they enter the haunted forest, it’s a world of wild dreams and nightmares that complements Humperdinck’s timeless family opera. The New Year’s Day afternoon performance was shown in a live, high-definition broadcast at movie theaters around the world. In the HD broadcast, before the curtain rose, shots of children in theater seats were interspersed with images of musicians warming up and updates on how far we were from showtime. At the Regal Hamburg Pavilion in Lexington, the audience was also dotted with kids, including a family of five that was dressed as if they were at Lincoln Center. The images that went across the screen aren’t likely to vanish from any of those little boys’ and girls’ minds any time soon: craggy trees in dark suits, a high-concept apartment serving as a forest, the “angels” in the dream sequence portrayed as ultra-portly chefs who serve the children a sumptuous dinner, complete with a fish-head maitre d’. It’s a great show for kids — old enough and mature enough to handle some frightening and grisly images — because it shows so many ways that creativity can be used to make a compelling piece of art, from Humperdinck’s music to Macfarlane’s designs and everything in between. The danger with high-concept pieces is that the concept will overwhelm the drama. But this H&G, with an English libretto by David Pountney, is still about the title 10-year-olds (sent into the forest by poor and incompetent parents) who must survive by their wits and a faith that God will hear their prayers. The kids are, of course, portrayed by adults — Christine Schäfer, who plays Gretel, has two kids of her own. But they ably get the mannerisms of children down, from their goofy dance in the first act, to the way Hansel’s (Alice Coote) chin trembles in the forest. It makes the Children’s Prayer in Act II all the more poignant, because we feel like we are seeing kids in trouble. And they are, as in Act III, they are enticed by the witch who wants to fatten them up and eat them. Even when he’s acting like Julia Child’s evil twin, Philip Langridge’s witch conveys plenty of menace. 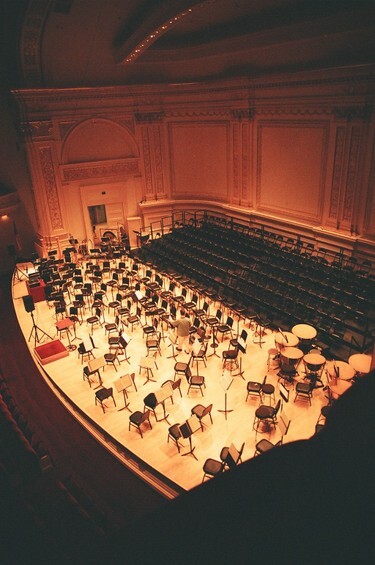 Metropolitan Opera general director Peter Gelb has said he wants the venerable opera house to be a place where great artists come to work, be they musicians, stage directors or visual artists. This is a production that fully realizes that goal. The New Year's broadcast was a great alternative to meaningless college football games (yes, even the arts writer has to take a shot at the crock that is the Bowl Championship Series), and if you didn't get to catch it, it repeats at 3 p.m. Jan. 6 (in Central Kentucky at the Lexington Green and Richmond Mall cinemas). The University of Kentucky Opera Theatre will also offer up its own take on Hansel and Gretel in March. 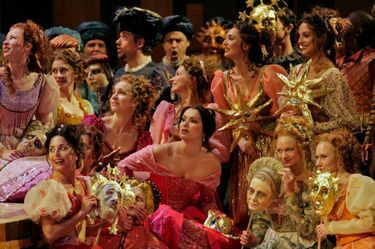 Anna Netrebko (sitting at the center, pink dress) in a party scene at the opening of the Metropolitan Opera's production of Gounod's Romeo et Juliette, which was shown in movie theaters around the world on Dec. 15. 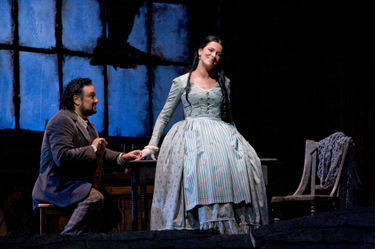 Copyrighted photo by Ken Howard, courtesy of the Metropolitan Opera. Entering theater 7 in the Regal Hamburg Pavilion 16 cinema, my ears were greeted by the sounds of an orchestra tuning up. It’s not a typical Saturday afternoon at the movies. The orchestra was live, though it was not in the theater. 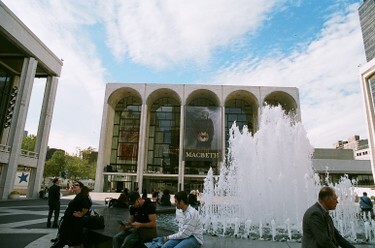 It was just over 700 miles away at the Metropolitan Opera House in New York’s Lincoln Center. For years, we’ve been able to hear Metropolitan Opera’s Saturday matinees live on the radio, locally on WEKU-88.9 FM. But last year, the nation’s leading opera house made an international splash with its live high-definition broadcasts to movie theaters around the world. The 2007-08 season started last weekend with Charles Gounod’s Romeo et Juliette, and continues New Year’s Day with Englebert Humperdinck’s Hansel and Gretel. Eight operas are planned for live HD broadcasts this season, including the 5 1/2-hour Richard Wagner marathon of Tristan und Isolde, on March 22. If you are an opera lover, these shows are a must, and if you aren’t, you may have a conversion experience at the movie theater. The HD broadcasts take you up as close as you could hope to be for a Met production, with sound that has to be second only to being in the Met. Put it this way: I’ve heard Anna Netrebko, who played Juliette last Saturday, in recordings before. Hearing her Saturday made me go home and download a whole lot more Anna. One person I chatted with said it was disconcerting to have the sensation of being at a live performance, but see all the closeups the broadcast provided. It was an interesting point, but a static camera giving an audience view of the stage would be a boring way to watch the show. And really, those closeups are part of the trade-off we get for not hearing the voices live. In exchange, we get views of the stage, the costumes and the stars that no one in Lincoln Center is getting. One of the more quizzical aspects of Central Kentucky public radio is coming to an end. For years, WEKU-88.9 FM has been the area's classical-music outlet. But the Saturday afternoon broadcasts of Metropolitan Opera productions have been carried by WUKY-91.3 FM, which otherwise programs adult rock and talk. The Met broadcasts are finally making the move down the dial to WEKU, starting at 1:30 p.m. Dec. 8 with Christoph Willibald Gluck's Iphigenie en Tauride starring Placido Domingo as Orest and Susan Graham as Iphigenie, and conducted by Louis Langree. On Dec. 15, the broadcast is Charles Gounod's Romeo et Juliette, with Anna Netrebko and Roberto Alagna in the title roles, and Domingo conducting. That 1 p.m. performance also will be the first of eight high-definition broadcasts to movie theaters this year. In Central Kentucky, the broadcasts will be at the Regal Hamburg Pavilion 16, Cinemark Lexington Green Movies 8 and Cinemark Richmond Mall Movies 8 cinemas. Click here for a complete list of broadcasts, and for theaters and tickets to the opera showings, click here . 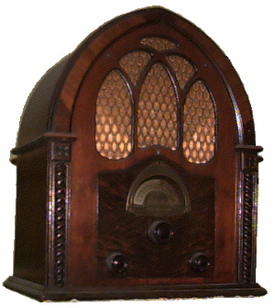 The roadblock to WEKU presenting the Met in the past has been that the station is obliged to carry Eastern Kentucky University football and basketball. In the past, the Met has said affiliates must carry all broadcasts. This season, the opera relented, although there is only one EKU sports conflict on the calendar: Feb. 2, when the opera will be Richard Wagner's Die Walkure. That's a pretty big kahuna to miss, but station manager Roger Duvall says WEKU's Web site will provide links to stations presenting that performance. Susanna Phillips sings the lead role of Blanche in the Kentucky Opera's production of Dialogues of the Carmelites. 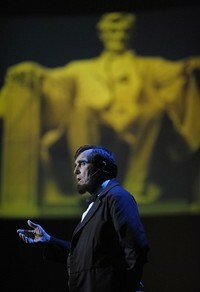 Photo by John Fitzgerald, courtesy of the Kentucky Opera. Monday night, I got a look at Kentucky Opera's new production of Francis Poulenc's Dialogues of the Carmelites, which plays Friday and Sunday at Louisville's Kentucky Center for the Arts. We were over there to talk to the four University of Kentucky students in the Apprentice Studio Artist program at the KO -- Afton Battle, Amelia Groetsch, Mark Kano and Chuck Chandler -- for a story coming in Friday's paper. After a pre-rehearsal dinner at the Bristol, I sat in on the first act. It was a piano rehearsal, and staging was still being worked out, so obviously we are not delivering any kind of review here. But one thing that did strike me was the clarity of the singing. It may be that it struck me because a few weeks ago I had ordered a DVD of the opera from Netflix. It was a 1985 version from Opera Australia with Joan Sutherland as Madam Lidoine and Isobel Buchanan as Blanche. This version, like Kentucky Opera's production, is in English. But the recording from Kultur did not have any subtitle options, including closed captioning, and a lot of the singing was not clear enough to understand. A few minutes into the first act, I paused the disc and went to get a synopsis off Wikipedia so I could have some idea what was happening. Anyway, back to Louisville, no such problems emerged Monday. Almost all of the lines were easily understood, and if you missed something, there were supertitles above the stage. I don't know how much an orchestra and 2,000 plus warm bodies in the hall will alter that, but it did seem an effort was being made to be clear. So, if you're going, or think you might be interested, it looks like a pretty accessible production. Fair warning: It is a grim show about an order of nuns that bravely faced the guillotine in the French Revolution. As some wascally wabbit once said, "What did you expect in an opera? A happy ending?" ~ Digital music fans should check out the new Deutsche Grammophon online store with what are purported to be higher quality downloads than most online music services. Check it out. You shouldn't have any trouble finding something good at DG. 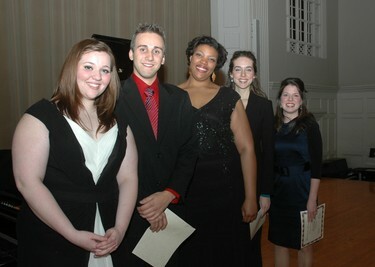 Above: The winners of yesterday's Kentucky District round of the Metropolitan Opera National Council Auditions are (L-R) Amanda Balltrip (who won the encouragement award), Christopher Conley, Afton Battle, Emily Lorini, and Hannah Smith. Photo by Pat Trotter/Lexington Opera Society. Below: Baritone Corey Crider is the last UK singer to advance past the Tri-State regional auditions to the national semifinals at the Met. Copyrighted Herald-Leader/Kentucky.com photo by Janet Worne. University of Kentucky countertenor Christopher Conley is heading to the Tri-State Regional Round of the Metropolitan Opera National Council Auditions for the second straight year, so he has a good idea of what he's facing. 1. Now, instead of facing a field in which anyone can enter in the Kentucky District auditions, the district winners face winners from two other regions: Ohio, dominated by opera powerhouse the University of Cincinnati College-Conservatory of Music, and Indiana, dominated by opera powerhouse Indiana University. 2. Unless the judges call an audible, which they have the option to do, only one singer advances from the regionals to the national semi-finals in New York, on the Metropolitan Opera stage. Saturday afternoon, four singers advanced from the Kentucky district auditions: UK's Conley, sopranos Afton Battle and Hannah Smith, and Miami of Ohio mezzo-soprano Emily Lorini. The Tri-State regionals float among the three states, and since this year is Kentucky's year, the competitors come right back to Memorial Hall for the competition Jan. 19. Smith says she likes the home-field advantage because, "I can sleep in and I don't have to wonder what the room is like." With that advantage, UK is one-for-two. 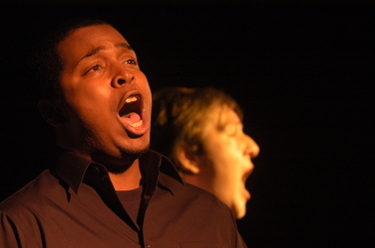 In 2001, baritone Corey Crider won in a Memorial Hall Tri-State. In 2004, UK sent only one competitor to the regionals at Memorial, soprano Lillian Roberts, and she didn't advance. ~ Battle, 26, a distant cousin of Kathleen, whose rendition of Giacomo Puccini's In questa Reggia from Turandot makes you think about that iconic Maxell audio tape ad. 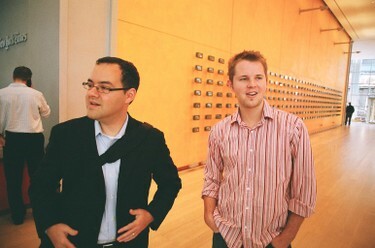 ~ Conley, 27, who in two years has gone from being a struggling tenor to a fine countertenor. Less common voices can do well in the Met competition. ~ Smith, who displayed a vibrant and controlled coloratura yesterday in renditions of Bernstein's Glitter and Be Gay from Candide and Wolfgang Amadeus Mozart's Durch Zartlichkeit und Schmeicheln from The Abduction at the Seraglio. To get ready, all three say they're going to be getting to work with their respective teachers and UK's beloved vocal coach Cliff Jackson. If one breaks through, it'll be the first time UK has advanced to the nationals since 2001, when Crider went joined by tenor Mark Whatley, who advanced through another region. Whatley advanced to the finals, but didn't win. Gregory Turay still stands as the last UK singer to win at the Met Auditions, a victory that launched his international career. Before going to get critiques from the judges of yesterday's competition, Battle said the mission is, "to start a new tradition, and give us someone else to talk about in addition to Greg Turay." Sometimes I forget to do this, and then I wonder why: When a guest conductor, musician or group is coming to town, I like to go fishing for recordings. And I get a lot more bites than you might think. A lot has been written about a crisis in classical music recording, with fewer and fewer orchestras having recording contracts with major labels, discs being harder to move, etc. That’s one end. On the other hand, with the use of less-expensive digital recording technology available and wider distribution than previously imagined, it seems there’s more music available from more artists than ever before. Take the Lexington Philharmonic’s lineup. This year, there aren’t any blockbuster soloists or conductors on the schedule. But we have heard performances from people we’d like to hear more of. Last week, after talking to guest conductor Alexander Platt, who led Friday night’s concert, I came back to the office and popped his name into Napster; sure enough, two albums popped up. 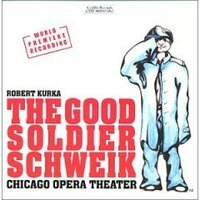 The first was the world premiere recording of Robert Kurka’s opera The Good Soldier Schweik, and what a find. The recording with the Chicago Opera Theatre, which Platt directs, is clearly sung, buoyantly conducted and entertaining. It made me want to see the show, although I also think I got a great sense of the show from the disc. The other disc paired Platt with two other past Lexington visitors: violinist Rachel Barton Pine, who opened the Phil’s 2003-04 season, and the Scottish Chamber Orchestra, which played the Singletary Center’s concert series in 1999. Its Scottish Fantasies for Violin and Orchestra turned out to be a lovely disc of music by Max Bruch, Pablo de Sarasate and others. If you liked piano soloist Natasha Paremski’s Ludwig van Beethoven work on Friday night, you might want to check out her 2003 Frederic Chopin disc with the Moscow Philharmonic and conductor Dmitry Yablonsky. Three of the Philharmonic’s other soloists this season also have discs for sale. Pianist John Nakamatsu, who opened the season with a dazzling performance of Johannes Brahms’ First Piano Concerto, has eight discs out, from a CD of his award-winning performance at the Van Cliburn International Piano Competition to relatively new concertos by Lukas Foss, to a recent disc of George Gershwin. 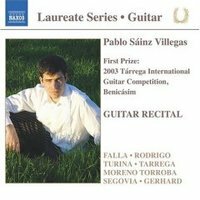 You can find several CDs by October’s soloist, Pablo Sainz Villegas, on his Web site. And if you are looking ahead, February’s piano soloist, Sara Buechner, has a number of discs out, including a new one of music for piano and violin by Rudolf Friml. You can find Buechner's discography at her site. Beyond the Philharmonic’s visiting artists, we have Lexington-based ensembles recording, including the University of Kentucky Symphony Orchestra and American Spiritual Ensemble. Recordings also are good ways to reconnect with folks who have moved on. Violinist Nathan Cole, now with the Chicago Symphony, just released a terrific solo CD, Rapid Approach. Earlier this month, I found UK graduate Gregory Turay’s performance in the San Francisco Opera’s Merry Widow on DVD. And if you couldn’t get to Washington Opera to see Turay in William Bolcom’s A View From the Bridge, you can at least buy the CD. I could go on, but suffice to say, if you see an artist you like or want to check one out before you buy a ticket, there’s a good chance you can find him or her on CD. And this being the season that it is, if you’ve shared a great concert experience with someone recently, a CD of the artist’s work could make a lovely holiday gift. 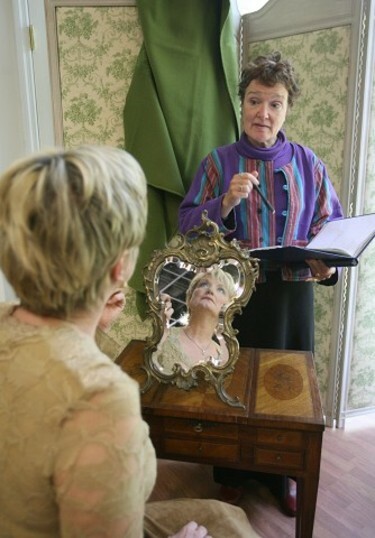 Above: Actor Janet Scott (facing the mirror) and director Diana Denley of Shakespeare's Globe Center Australia are preparing Scott's The Love Letter for the Central Library Stage this weekend. Copyrighted Herald-Leader photo by Matt Goins. 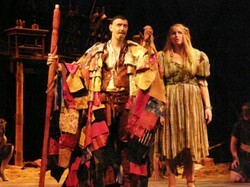 Below: Chris Kidder as Prospero and Courtney Collier as Miranda in UK's production of The Tempest. Photo by Rebecca Amsler/UK Theatre. Below, below: Mark Hall leads his band Casting Crowns into Rupp Arena Friday. ~ Veteran actor Janet Scott presents her one-woman show, The Love Letter, at the Central Library Theatre, Thursday through Saturday. An important note: The free Thursday night performance is for students only. Due to some miscommunication, there was an error about that in our story Sunday. ~ Across the street, at the Downtown Arts Center, the burgeoning theater program at Bluegrass Community and Technical College presents The Night Thoreau Spent in Jail, Thursday through Saturday. ~ Studio Players opens its production of One Flew Over the Cuckoo's Nest Thursday, and it runs through Dec. 2. We'll write more on this later, but FYI, Michael Peters is McMurphy, Allie Darden is Nurse Ratched and Eric Ryan Seale directs. 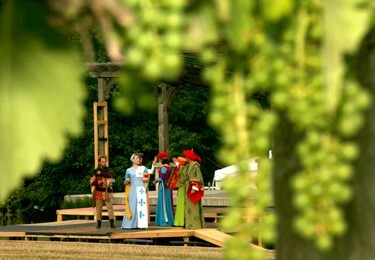 ~ The Tempest plays its final weekend at UK, Thursday through Sunday. Here's blogger Andrew Battista's take. ~ Gallery Hop is Friday, from 5 to 8 p.m.
~ Everybody's favorite Depression-era, curly redhead, Annie, is back at the Opera House for a weekend stand as part of the Broadway Live series. 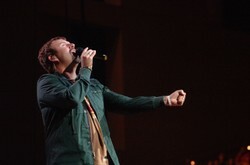 ~ Annie will unite with the Casting Crowns concert at Rupp Arena to create a little traffic jam Friday night. Crowns will be joined by Leeland and John Waller. ~ Meanwhile, at the Singletary Center, the Lexington Philharmonic welcomes Alexander Platt as the second candidate to succeed George Zack as music director of the Lexington Philharmonic. He'll be conducting a concert of Ludwig van Beethoven, Franz Joseph Haydn and Jean Sibelius with piano soloist Natasha Paremski. ~ Saturday afternoon, the Kentucky District round of the Metropolitan Opera National Council Auditions takes place at the University of Kentucky's Memorial Hall. ~ Saturday night, the Trans-Siberian Orchestra is at Rupp. And if all that doesn't help you work up an appetite for some turkey . . . The Lexington Singers performed the Lord Nelson Mass by Franz Joseph Haydn, shown in a portrait by Ludwig Guttenbrunn, Sunday afternoon at the Singletary Center for the Arts. Photo from Wikipedia/public domain. There’s this thing that happens when Lexington Singers conductor Jefferson Johnson closes his left thumb and finger together to end a phrase. The sound of that final consonant pops off the walls of the Singletary Center for the Arts like a firework that has a second of brilliant light and just as quickly vanishes. 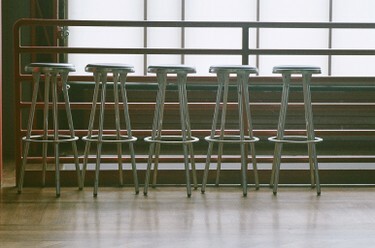 It’s thrilling, and it can only happen with an ensemble in perfect unity -- more than 100 pairs of eyes watching one hand. This, alone, does not make a complete choir. But it is indicative of what a sharp ensemble Johnson was directing Sunday afternoon in a performance of Franz Joseph Haydn’s Lord Nelson Mass. Three weeks ago I got to hear Haydn’s Creation by the London Symphony Orchestra and Chorus, under Sir Colin Davis’ baton. The Lexington Singers' performance was in the same league as the London choir, and that Creation was outstanding. 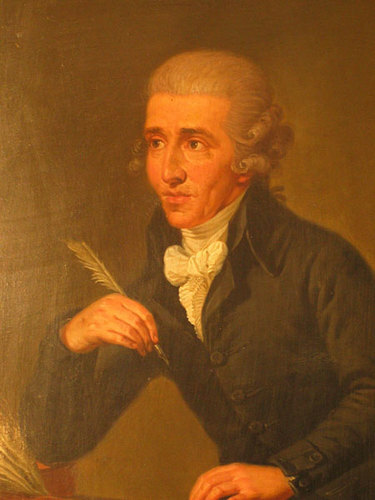 The Singers' sensitivity to the text and music of Papa Haydn’s ninth mass was as strong as its precision, making for a highly textured performance. There were some nice directoral touches too, such as Johnson (photo, right) bringing the singers to their feet mid-phrase in one section, creating an exceedingly natural crescendo. Aiding the presentation was a very like-minded soloist in Angelique Clay. She was one of the University of Kentucky’s first big opera stars who returned this semester to join the UK voice faculty. The local arts community has been keeping her busy. She just served as the soprano soloist on the Lexington Community Orchestra’s performance of Ludwig van Beethoven’s Symphony No. 9, last Sunday. 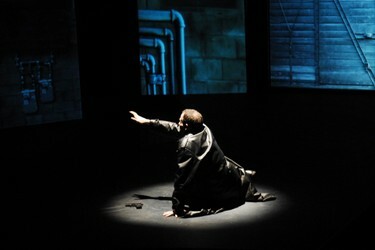 Ghost in the machine: Adam Luckey as Hamlet reaches out to the ghost of his father, which is in video projections, in Actors Guild of Lexington's multimedia take on Hamlet. Photo courtesy of Actors Guild of Lexington. Any time a Shakespeare director strays away from men in tights, he or she risks running into the piercing daggers of purists. But part of the Bard’s enduring appeal is the elasticity of his works, which I recently saw demonstrated with possibly his most famous play, Hamlet. At Actors Guild of Lexington, we have Richard St. Peter’s multimedia take on the tragedy of Hamlet, which wraps up its run at the Downtown Arts Center Sunday afternoon. Derek Keeling is Charles Darnay in Jill Santoriello's musical adaptation of A Tale of Two Cities. Copyrighted photo by Carol Rosegg/The Jacksina Company. University of Kentucky graduates Derek Keeling and Gregory Turay both had big shows open in the past few weeks, and the reviews are in. Keeling, who a lot of us got to know through the NBC competition series Grease: You're the One That I Want, is playing Charles Darnay in Jill Santoriello's musical adaptation of Charles Dickens' A Tale of Two Cities. The show just opened its out-of-town run at Asolo Repertory Theatre in Sarasota, Fla.
~ January Holmes of the Bradenton Herald called the show, "an enthralling theater piece." ~ Daily Variety's Jay Handelman wasn't as jazzed, saying Santoriello didn't give Derek much to work with. ~ Handelman also penned a slightly different take for the Sarasota Herald-Tribune. A note about suggestions that the show needs work. If you don't regularly follow theater, that is often what these out of town tryouts are all about, seeing what works and what doesn't before the show gets to Broadway. We'll let you know when there is more news about a run on the Great White Way for Tale. The show runs in Sarasota through Nov. 18. Turay has played Rodolpho in the 1999 world premier production of William Bolcom's A View from the Bridge at the Lyric Opera of Chicago and the subsequent production at the Metropolitan Opera. This month, Frank Galati's production of the opera, based on Arthur Miller's play, is at the Washington National Opera under the baton of Placido Domingo. ~ The Washington Post's esteemed Tim Page called Turay, "altogether terrific." ~ The Washington Times' T.L. Ponick says Turay makes the most of some of the best music in the score. ~ The Baltimore Sun's Tim Smith doesn't seem to have filed a review yet, but he does lead his thorough preview with Rodolpho's big moment. A Lexington delegation was in Washington for the opening performances last weekend. 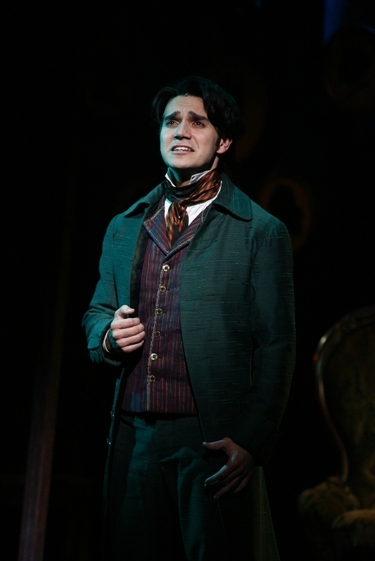 If you want to see it, there are four more performances between now and Nov. 17. Gov. 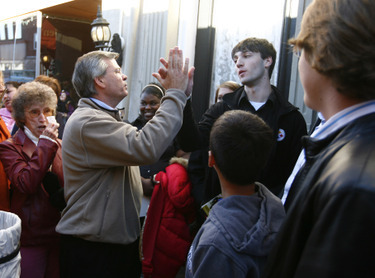 Ernie Fletcher and School for Creative and Performing Arts senior Kevin DeVries share a high-five at a Paris campaign stop when they learn they have Lafayette High School in common. Later, they talked about the arts in Kentucky. Copyrighted Herald-Leader/Kentucky.com photo by Mark Cornelison. Kevin DeVries, a senior at the School for the Creative and Performing Arts at Lafayette High School, followed with a question that was equally challenging. "I will be attending Indiana University next year," DeVries said, "and part of the problem it seems with all my friends is that there's not really an artistic hot spot in Kentucky." IU, he said, hooks its students up with the Indianapolis Opera Company. So, "Is there anything we're doing to better promote the classical arts in Kentucky right now?" Fletcher explained that he proposed $2.5 million for opera, ballet and theatre in Louisville and that Zev Buffman, a veteran Broadway producer, is now putting on plays at the RiverPark Center in Owensboro. Well, the University of Kentucky and University of Louisville's voice programs both have newly minted deals for students to work with the Kentucky Opera in Louisville, and even before that, UK students were heading down I-64 to work with the KO on a regular basis. This fall, four UK students are working on all three of the Kentucky Opera's productions. One even understudied the title role in Turandot. What's more, UK has been talking to Cincinnati Opera about what partnerships they can forge. Indiana has a world-class music school, no doubt, and being accepted there is a tremendous honor. But it's a shame Kevin made a decision without knowing what's actually going on in Kentucky, if that was a major factor in his decision making. And we love Zev and the new flavors he's bringing to Owensboro's RiverPark Center, including attracting a steady stream of touring Broadway shows to build and a tech productions there. But let's not forget the Humana Festival of New American Plays in Louisville. It's been attracting international theater professionals and press to Actors Theatre of Louisville for more than three decades, where they see shows that go on to have global impacts. Once again, it is great to see that with the few moments the Teen Board had with the Governor, they actually talked about the arts. It was just sad to see that the conversation turned on a fairly common misperception about culture in the Commonwealth. As someone who deals with the arts in the Bluegrass State on a daily basis, I'd encourage anyone who has that perception to take a good look around at the Commonwealth's cultural scene to see what's really happening. National Public Radio has launched a sprawling new music website, and this interview with Simone Dinnerstein, which aired on Morning Edition today, is a great introduction. If you have time, listen, then surf on. The last line of this post from La Cieca is so funny it hurts, particularly over here, in the press box. Darla Diltz as rancher's wife Tallulah, who fears her husband has gone cheatin' on her. Below, Eric Brown as hot-blooded Raul. All photos by Tim Collins. 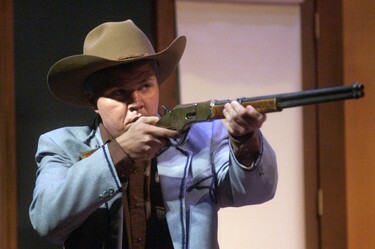 The opera is Thomas Pasatieri’s Hotel Casablanca, a comic tale of love, guns and mistaken identity deep in the heart of 1940s Texas. It’s a big deal for UK Opera, as this is a co-production with the San Francisco Opera’s Merola Program for young artists. San Francisco premiered it in August. Lexington audiences are the second ones to see it, though they shouldn’t be the last. Casablanca has just enough opera majesty to satiate grand opera adherents and enough silliness to keep most audiences entertained. As a bonus, it’s in English. Though Casablanca is pure fluff, you can tell Pasatieri loves his divas, as he gives the lead soprano, Tallulah, two anguished arias, one with her dressed up like Madama Butterfly. Darla Diltz sings those numbers with such conviction, you’d think we were back in the tragic La Traviata, in which Diltz sang Violetta last fall. (She is double cast with Amanda Balltrip, who will sing the role Oct. 13 and 19). But there’s nothing as vocally and emotionally taxing as Verdi here. 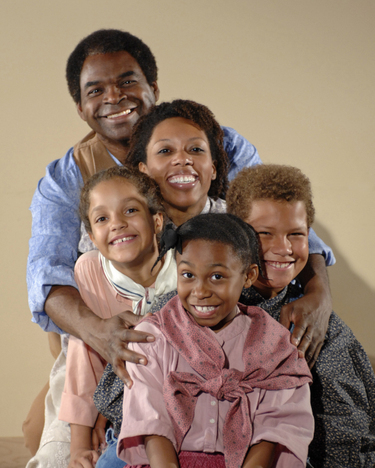 Terry Cook as John P. Parker (top), Andrea Jones-Sojola as Miranda Parker (middle) and (L-R in the front) Nekyla Hawkins, Ariss Payne and C.J. Hughes as their children. 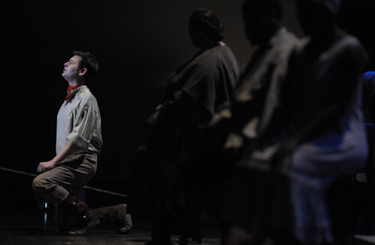 Photo by Philip Groshong, courtesy of the Cincinnati Opera. In the last post, we mentioned Cincinnati Opera has been active in presenting and even commissioning new works. In fact, almost every summer season has at least one slot for a new opera. But the Queen City company is also proving its commitment to new opera this fall with the world premier of Rise for Freedom: The John P. Parker Story, composed by Adolphus Hailstork with a libretto by David Gonzales. The 45-minute family opera is about Parker, one of the leading conductors of the Underground Railroad. If you follow Lexington-area opera, you might recognize the woman in the photo, above, as Andrea Jones-Sojola, one of the University of Kentucky Opera's stars a few years back. 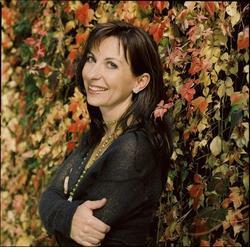 She sings the role of Miranda, Parker's wife. Also in the show is UK doctoral student Jeremy Cady as the slave owner Sroufe, who dares Parker to come "run away" one of his slaves. Cady just finished up the role of Pang in Kentucky Opera's Turandot. With all these props to UK, I have to mention I'm proud to say Hailstork is a professor of music and composer-in-residence at my alma mater, Old Dominion University in Norfolk, Va. He was previously commissioned to write Paul Laurence Dunar: Common Ground for the Dayton Opera in 1995. There are six public performances of Rise for Freedom this weekend and next at the Aronoff Center in Cincinnati. Click here for showtimes and complete ticket information. ~ By the way, I did receive a few questions off last weekend's story and column about UK's production of Thomas Pasatieri's Hotel Casablanca. All went something like, "are there any melodies?" and "is it like other modern operas?" I only got to see a bit of it in rehearsal, but it is most definitely not Schoenberg, or any 12-tone or minimalist composition. In fact, there are some melodies that have been stuck in my brain since that rehearsal a week ago. It's definitely easy on the ears. The San Jose Mercury News' Richard Scheinin calls it "unrelenting and unforgiving." The San Francisco Chronicle's Joshua Kosman says it's, "Ambitious and maddeningly inconsistent." The New York Times' Anthony Tommasini calls it, "a missed opportunity." (Above) Amanda Balltrip as Tallulah Carter, left and Sarah Klopfenstein as Lucy Perez, scurry from Christopher Baker as Tobias, during a rehearsal for the University of Kentucky Opera Theatre's production of Thomas Pasatieri's Hotel Casablanca. (Below) Richard Kagey, director of Hotel Casablanca. Copyrighted photos by Pablo Alcala for the Herald-Leader and Kentucky.com. Thomas Pasatieri’s Hotel Casablanca is getting the University of Kentucky Opera Theatre in on a growing trend in the music world: premieres of new operas. It wasn’t a common thing just a few years ago. Indeed, for decades you’d have the occasional new work from Carlisle Floyd or John Adams. But the opera establishment’s idea of staying up to date seemed to be sticking a Big Mac in Don Giovanni’s hand — not that we have anything against Peter Sellars’ interpretations. The past few years though have yielded a steady stream of new pieces, including Philip Glass’ Appomattox, which opened Friday at San Francisco Opera. To Kagey, the event that said a change was afoot was the world premiere of Tobias Picker’s An American Tragedy at the Metropolitan Opera. “For the Met to do an English-language premiere is almost unheard of,” Kagey says. John Corligiano’s Ghost of Versailles was the only other one that came to mind. The Central Kentucky region has been in on the action. 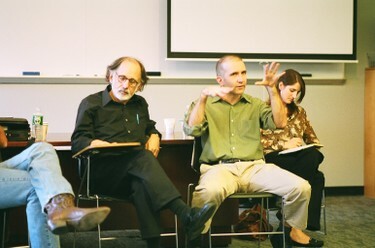 Cincinnati Opera co-commissioned Richard Danielpour’s Margaret Garner, with a libretto by Toni Morrison, and presented its second production in July 2005. Three years earlier, it presented Jake Heggie’s Dead Man Walking. This summer, Cincy will present Daniel Catan’s Florencia in the Amazon, the company’s first opera in Spanish. UK Opera has been in on the act, too, presenting works such as Rachel Portman’s The Little Prince, which premiered at the Houston Grand Opera, in 2005 and Andre Previn’s A Streetcar Named Desire in 2003. Phumzile Sojola as Pinkerton in the UK Opera Theatre's 2005 production of Madama Butterfly. The South African-born singer is now Off Broadway, starring in Three Mo Tenors. Copyrighted photo by Brian Tietz for the Lexington Herald-Leader and Kentucky.com. 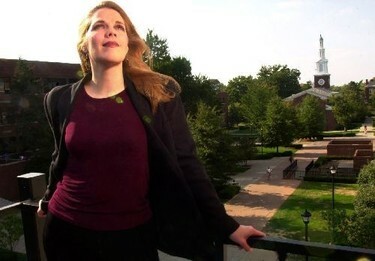 The latest Lexington-connected artist to make it into the spotlight of New York comes from the University of Kentucky's opera program. Phumzile Sojola, who has sung roles such as Pinkerton in Madama Butterfly and Don Jose in Carmen with UK Opera Theatre is now one of the Three Mo Tenors in the Off-Broadway edition of the hit show. Three Mo is a showcase for classically-trained black singers that has been touring around the country, including a stop at the Lexington Opera House in 2002. The show starts with operatic fare and then moves to pop, jazz, gospel, spirituals and other genres. Even some New York critics who were lukewarm on the actual show sang Phumzile's praises. 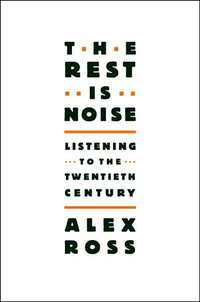 Claudia La Rocco's New York Times review, which begins "Please. No mo' tenors," gives props to the tenor, known around UK Opera as Puma, saying he, "surely has a Hollywood contract or two in his future." Joe Dziemianowicz of the New York Daily News says, "Sojola stands out - not because of his pipes, but because he's such a charmer. Watch him lead a South African medley in which he asks the audience to join in. I'm dubious about sing-alongs - but he made this a truly joyful noise." Good stuff, especially if you consider New York critics aren't the easiest folks to win over. Just ask Laura Bell Bundy. Ben Brantley used his Forbidden Broadway review to take another dig at the Lexington star's (Tony nominated) Legally Blonde performance. Note: This post originally said Three Mo Tenors was a Broadway show, due to the initial information I received. I since learned it is Off Broadway, which is still great, and modified the post to reflect that.